CMH - IEMI Paris welcomes UPAEP Faculty Led particpants to arrive next Sunday!! CMH has created an innovative, immersive 4 week program designed to integrate classroom, blended learning, business visits + cultural outings. 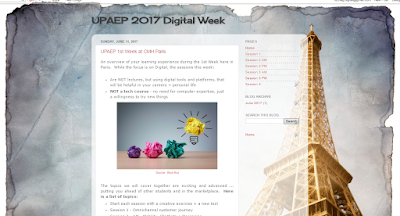 The first week is Digital Week + the online classroom is up!! 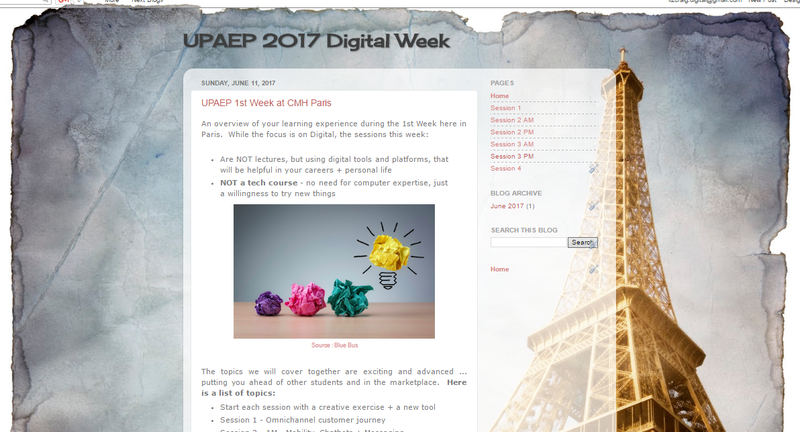 From Omnichannel Marketing to Wearables and Social Media, the first week will share cutting edge concepts and creative platforms with UPAEP participants. Mobile Website highlighting Paris events + ideas will be updated during the Participants' Visit.